Listing courtesy of Sellers-Choice RE Services. Lovely Home in great location, inside of home recently painted, new floor covering and Silestone Natural Quartz counter tops in kitchen and bathrooms recently installed. Kitchen and dining room are open to the living room.Sliding glass door leads to the large deck. Master bedroom with master bath. 4th bedroom can make a nice office.Yard fully fenced with sprinkler system. Please, send me more information on this property: MLS# 19339726 – $289,900 – 6050 Pebble Ct, Springfield, OR 97478. 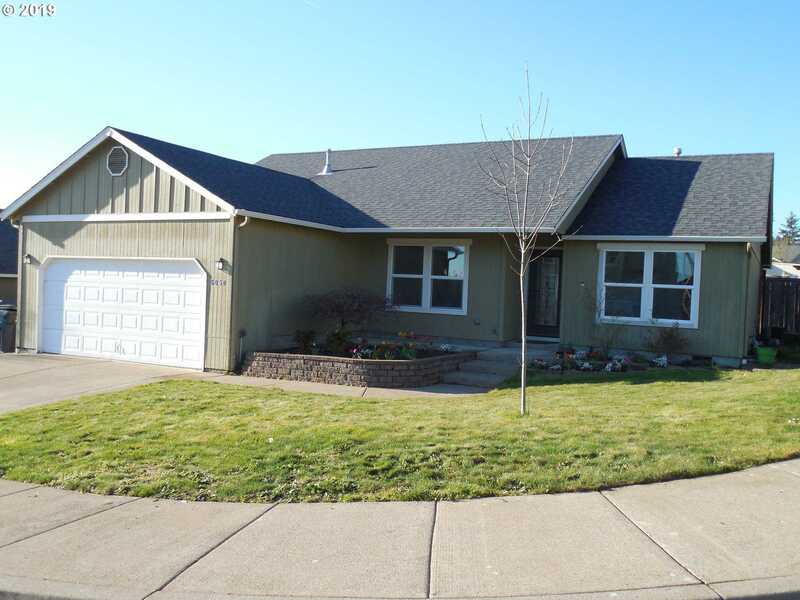 I would like to schedule a private showing for this property: MLS# 19339726 – $289,900 – 6050 Pebble Ct, Springfield, OR 97478. This content last updated on April 22, 2019 19:34. Some properties which appear for sale on this web site may subsequently have sold or may no longer be available.